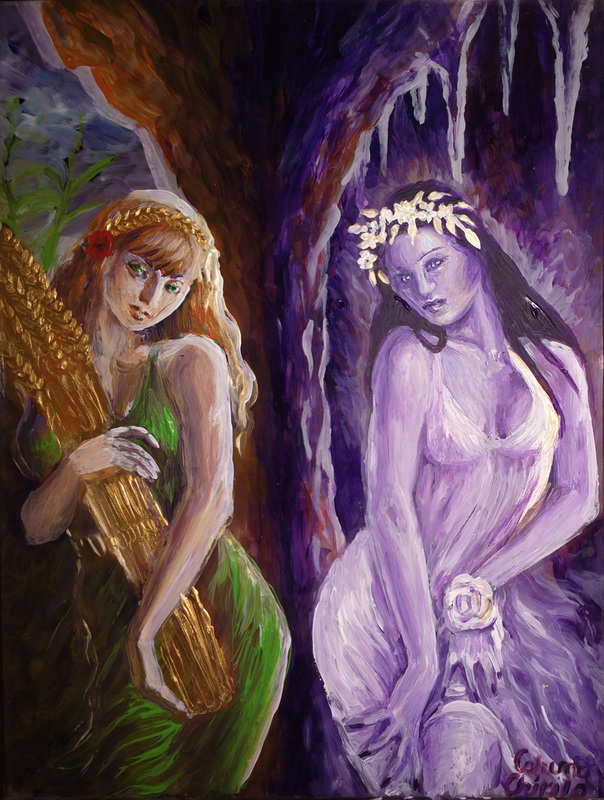 Posted in Acrylic painting, greek mythology, Painting, paintings and tagged demeter, kore, persephone. Bookmark the permalink. This is one of my dreams of love, me, the girl with golden hair and green eyes next to my love on a bed covered with red rose petals. I’ve made this acrylics on canvas painting imagining I am next to her, with my head on her shoulder, looking in her blue eyes, holding her strong arm. She is beautiful feminine but strong at the same time and I feel loved and safe next to her. I wish I could hold her in my arms, stay next to her, play in her long dark hair while she is kissing me. Unfortunately she is not real and I am still lonely watcing my own paintings and dreaming of the love I cannot have. The painting has been removed from an art fair in Bucharest be cause the owner of that building, maybe the president of the Bucharest’s commerce room had considered it offensive to children and the fair’s organizer has asked me to put it down. The painting is new but the ideea is old, since the year 2004. You can see tha painting I did by that time below. Posted in Acrylic painting, lesbians, love, Painting, paintings and tagged dream of love, lesbian art. Bookmark the permalink.